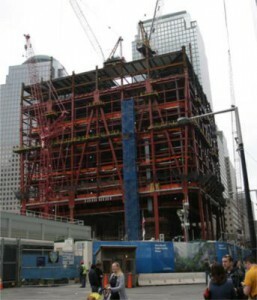 Following the terrorist attacks of the World Trade Center Twin Towers in New York City, new building codes were approved that require the installation of PL products to mark exits and to make it faster and easier to exit buildings during an emergency. PSA member Wooster Products, a manufacturer of anti-slip stair nosings and treads since 1921 is manufacturing the PL stair markings now being installed in New York at One World Trade Center, also known as the Freedom Tower, now under construction in lower Manhattan. New York?s code requires photoluminescent exit path markings on the entire horizontal leading edge of each step. 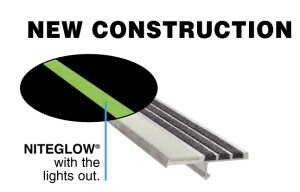 Wooster?s photoluminescent stair nosings are being installed in the Freedom Tower, World Trade Center Tower 4, and in the World Trade Center Memorial emergency exit stairwells. Stair nosings for 1 World Trade Center are being pre-cast into concrete steps (see photo), hauled to the job site and then installed with cranes. 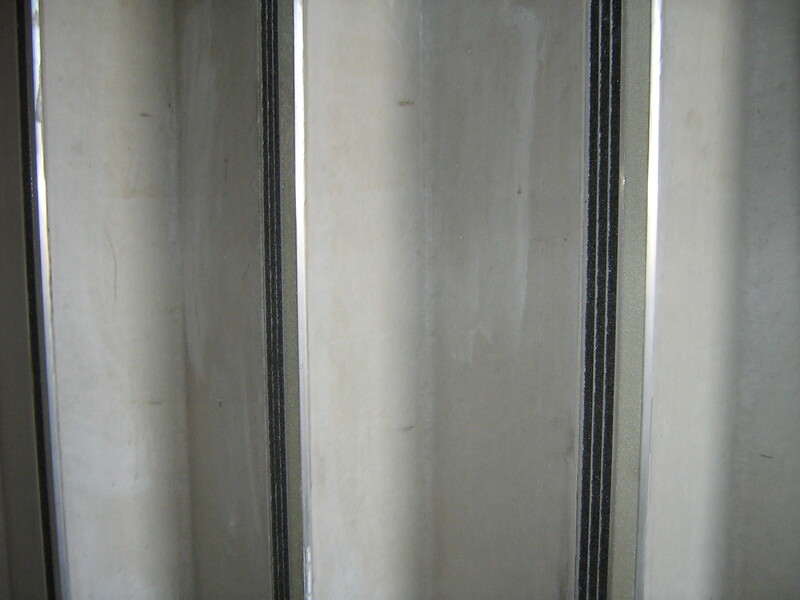 Stair nosings for Tower 4 and the WTC Memorial are being placed into the concrete steps on site. 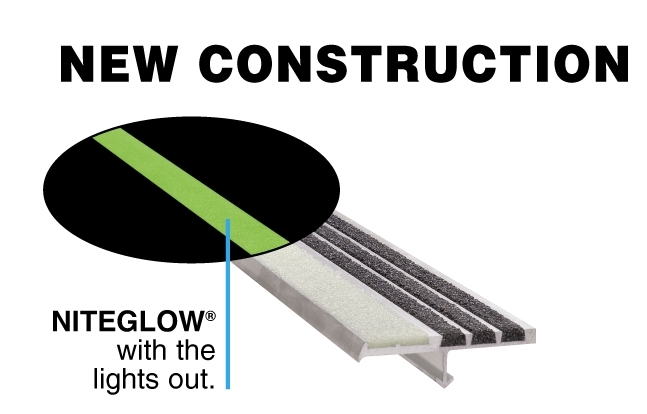 This entire project is the largest single use of photoluminescent stair nosings in the world. 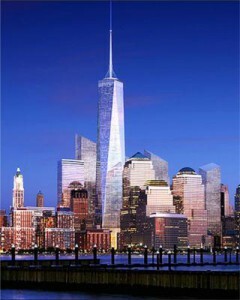 Construction of 1 World Trade Center began in early 2006 and is scheduled to be occupied in 2013. The building will be 1368 feet tall, 110 stories with 2.6 million square feet of office space.